Like many others, Laurie and Ne il Mackay were appalled by the scenes in Nepal after the earthquakes there over the past months. On July 12th 2015, they will be cycling in support of Community Action Nepal, fronted by Himalayan climber Doug Scott. Douglas Keith Scott CBE, known as Doug Scott, is an English mountaineer noted for the first ascent of the south-west face of Mount Everest on 24 September 1975. Scott and Dougal Haston were the first Britons to climb Everest during this expedition. 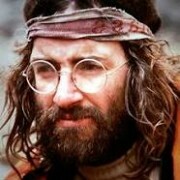 He is also founder of charity Community Action Nepal and first Briton to climb Mount Everest. CAN is medium sized and they will be concentrating resources on getting the schools and health centres they have already established, back in business. Box Hill is 170 meters high, so if they make it up there 50 times in one day that would equate to the height of Everest. Strictly speaking, they are not going from sea level, but the idea of doing it 85 times in one day apparently did not appeal, and they say that they are very mediocre cyclists! It will still take them somewhere between 11-12 hours if their legs and back hold up….. Among the welcome mountain of donations! 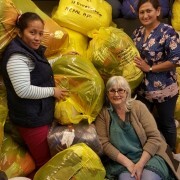 We have all been affected by the terrible earthquake in Nepal and our customers have been amazing in their generosity in donating clothes, blankets etc., for distribution in Nepal. We are still collecting clothes. Meantime, we would like to thank the Sevenoaks Chronicle for a recent article which gave detail of the work we have been carrying out to help in the relief work. We should like to take the opportunity to thank all our customers for their immense fund raising efforts and everyone who has made donations. So far we have sent some medication, sleeping bags and blankets to Nepal with our Nepali friends’ daughter, Reina, who has flown out with a team of 20 medical staff recently. They had some extra kilos free between them which we utilised. 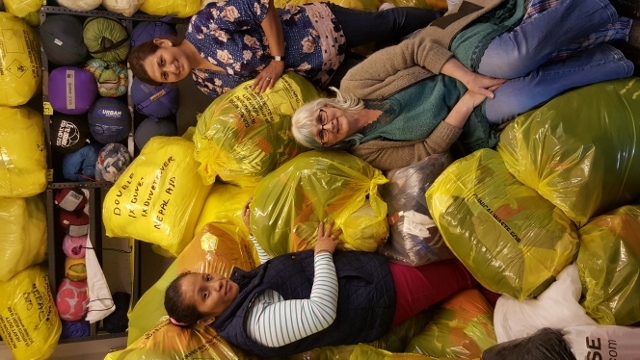 We have sent another bucket-load of clothes, sleeping bags and blankets with one of our staff’s daughters, together with passing on a good deal of sleeping bags and blankets to the Ashford (Kent) Nepali Association to send out. We are currently arranging a further shipment very shortly, so it is all hands to the tiller, as it were! Reina has identified a village outside of Kathmandu which has been devastated (Gorkha District No. 1). 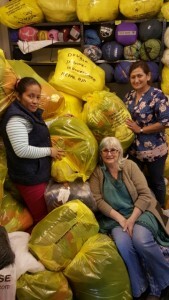 The houses have all gone so we have recently sent out a shared donation with the Tonbridge Nepali Ladies Committee approximately £4,873.00 to the Village Development Committee in Nepal who are also family members of local Tonbridge and Sevenoaks Nepali families. This has purchased basic rations of rice, oil and salt. We are in a good position with our network of family members in Nepal to ensure everything, all the money and items, go directly to people on the ground. Thank you again to everyone who has helped and is continuing to help the people of Nepal at this difficult time. As you will know, a second earthquake occurred bringing down houses that were in a precarious situation from the first quake. Needless to say the work will carry on to get aid to these areas as often as we can. 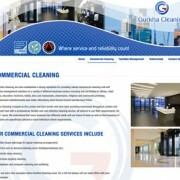 Here is the new website! We very much hope you like it and will find the new easy navigation simple to use. The new site is fully responsive to smartphones and will display perfectly on these and PC’s. 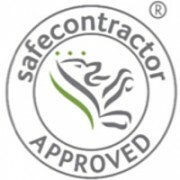 http://gcals.co.uk/wp-content/uploads/2015/02/news-website-snap.jpg 276 350 gcals_admin http://gcals.co.uk/wp-content/uploads/2015/02/logo-trans.png gcals_admin2015-02-23 16:55:382015-02-24 11:20:35New website goes live!